In our last article we took a look at what Bitcoin is and dispelled some common misconceptions many people hold about this new virtual currency. In Part 2 we are going to explain how to use Bitcoin to pay for Pay Per Head Services in foreign countries, privately and anonymously. Professional bookmakers stay in business by keeping their Sports Betting activities discreet. Bitcoin gives you the ability to exchange US dollars for BTC the same way you would purchase any other currency like Euros or Yen. Once you have BTC in your Bitcoin wallet or account, you can then transfer it to anyone of the thousands of merchants around the World who accept BTC payments. The fact is that today Bitcoin is now widely accepted by many major companies including Amazon , Starbucks, Target, Victoria’s Secret, Subway, Online Travel Agencies, K-Mart, Sears and many online retailers. 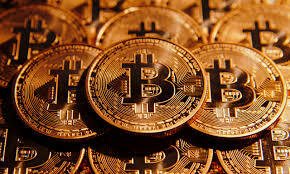 Bitcoin is used to make purchases ranging from Property to a cup of coffee. How Can Bitcoin Protect My Privacy? Once you have opened your Bitcoin account there are 2 ways to acquire Bitcoins. You can verify a bank account or credit card (this may take a couple days initially) and then simply decide how many Bitcoins you want to purchase. Funds will be taken from your account and BTC deposited into your Bitcoin wallet. There are also private Bitcoin exchanges like localbitcoins.com where you can purchase them from another Bitcoin account holder. Purchasing BTC from a private person means you could simply give them cash and they will give the BTC to you in a person to person transfer to your account. Once the Bitcoins are in your BTC wallet they can then be transferred privately to any other Bitcoin account in the World. If you use your bank account to purchase Bitcoin there will be a record of that transaction, however, what you do with your BTC after that is completely private. If you purchase directly from a BTC vendor make sure you choose one who has a history of being reliable much like you would with an EBay seller. The process of transferring Bitcoins is simple. For example: Your account balance reads 2 BTC (approximately $800 USD). Click on the SEND button and you will see a blank field. In this field you simply copy and paste the Bitcoin code provided by your Pay Per Head Service, it looks something like this: 316291e7e142c7b71ecd8095c… and click CONFIRM. The Bitcoins will then be transferred from your wallet to the merchant and confirmed within about 30 minutes.